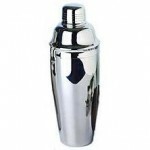 The standard issue is the Boston shaker. Essentially a pint glass and a larger, metal shaker cup. Just to note, the trick to getting this open after shaking is to get the glass flush with the metal facing towards you and then hit the side with the heel of your hand to pinch the metal and break the seal. These shakers require a strainer (see below). 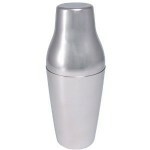 The other popular option is the cobbler shaker. 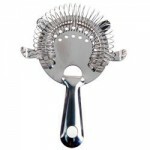 With a metal shaker, metal top, built-in strainer and a cap. 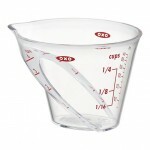 These work great except they’re almost impossible to get apart after you’ve mixed a drink. I’m most familiar with these from fancy places that shake your martini at the table. 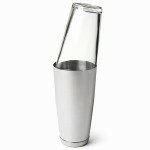 The final common option is the French shaker. Essentially a Boston shaker, just with a large metal cap and a metal shaker. These shakers also require a strainer. Which brings us to the next bar tool on the list. 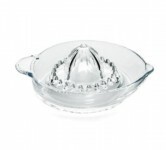 Unlike shakers, which more or less all serve the same function in different forms, strainers are a little more particular in what they offer. 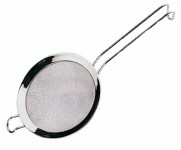 The most common and versatile is the Hawthorne strainer (you’ve obviously seen these before). The spring around the outer edge allows you press down for a finer strain or leave it more open to allow some bits of ice and muddled things to pour through. 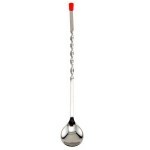 The Julep strainer is solid metal cup with holes and handle. Particularly effective for muddled citrus and herbs, the small holes prevent non-liquid from getting in the drink. 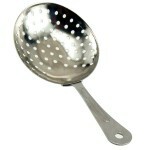 Lastly we have the fine strainer, which is more commonly seen in the kitchen. This is the last bastion of straining, often used in conjunction with a Hawthore or a Julep strainer, this will ensure that nothing but liquid makes its way into your glass. Pretty standard, although they do come in different lengths. You can get them anywhere that sells cocktail stuff. You’ll want a potato peeler for getting full rinds. 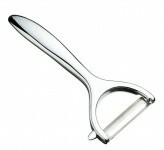 And a twist peeler for, well, twists. Great if you’re going to be mixing a lot of drinks at one time. These regulate the flow of alcohol so that it pours out in a steady stream. With a little practice you can even learn the timing for an ounce pour, rendering basic mixed drinks a breeze. I am someone who lost two weeks of his life to Cutco. But the one valuable thing I took away from the experience is that a dull knife is more dangerous than a sharp one. At this point you have everything you need to actually start making drinks. It’s time to stock up on ingredients. And by “ingredients” I primarily mean booze. Over the next few weeks I’ll take you through the essentials and the nice to haves of any home bar. Because while, yes, you can get by with a total of five bottles, it’s more fun and you can impress your friends/romantic conquests all the easier if you make them a drink they’ve never tried before. And that will require options, friend. So check back next week as we start with the clears: vodka and gin.